The "Medicine Wheel" message to me for September is "Transformation". That's exactly the message I want for this month. As I mentioned yesterday my message for last month was awakening and during the month I did have an awakening of things in my life that needed to be changed. So now that I have made some big life decisions, transformation is just what I want and expect to happen. 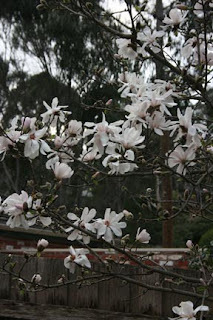 As you may have noticed I like to have a theme to blog about, I love the challenge. So now that I am in September and it's Spring, I thought my theme for this month would be to post photos and words relating to the letter "S". Where to start - no better place than with the word itself. 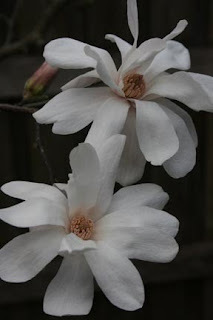 "Spring" - I really enjoy my garden in the spring, especially the glorious smell of the Daphne and the magnificent white glow of the "Magnolia". 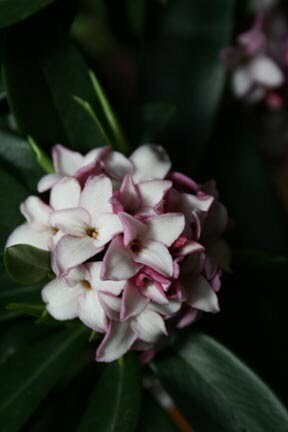 Beautiful daphne. I had a daphne bush once - the perfume was wonderful. A typical first day of spring for Melbourne - rain. Awesome photos Davine and it's hard to fathom spring starting in September, it's fall here or close to it and I can feel the chill in the air especially in the evenings.